SAMA Judo Mats feature multi-density foam technology for ultimate shock absorption and impact protection from throws and takedowns. 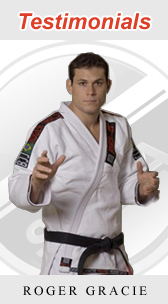 Our high quality tatami vinyl provides optimal foot traction and support for a superior overall performance. The 25mm Karate Mat is identical in construction to our other high quality Judo Mats except it uses a thinner and very high density foam core for maximum footing and stability. It is popular among Karate schools as a permanent flooring solution and alternative to frequent and costly replacement of Puzzle Mats. The foam core provides superior shock absorption for protection during stand up techniques, and the tatami texture non-slip surface is easy to clean and reduces mat burn. 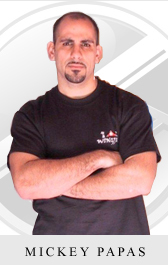 These latter features help improve the health of your athletes to keep them on the mats training regularly. Each mat features a rubber waffle backing to minimize shifting and lifting which is completely sealed to prevent water damage. The vinyl cover is designed to support footing in all scenarios, but yet, it accommodates ground training in your school. Each mat is available in 2mx1m or 1mx1m sizes. We offer a full range of colours to mix and match from. These mats are used by WTTU, ATA, and WKF members and many other Karate and TKD schools across Canada and the USA. The 40mm IJF Judo Mat features top quality materials and a highly durable construction for optimum safety at your tournament or in your dojo. This mat is designed to exact standards. The specified foam core cushions throws and prevents bottoming out. 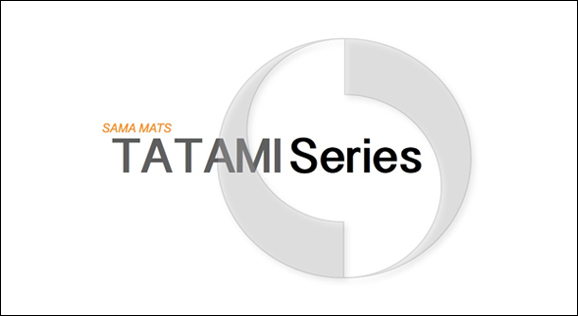 The tatami non-slip surface is easy to clean and reduces mat burn. These latter features help improve the health of your athletes. Each mat features a rubber waffle backing to reduce shifting and lifting which is completely sealed to protect the foam core from water damage. The highly durable vinyl cover supports footing exceptionally well and is designed specifically for tournament applications. Each mat is available in 2mx1m or 1mx1m sizes. We offer a full range of colours to mix and match from. 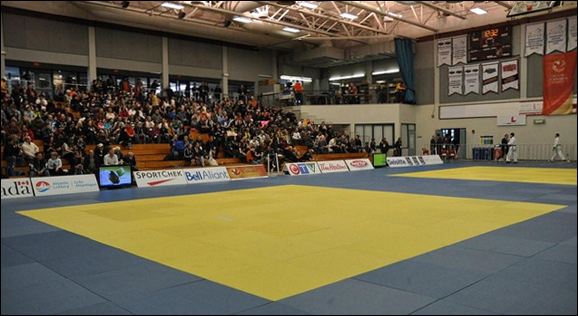 These mats are used by the Newfoundland and Labrador Judo Association and the 2011 Canada Winter Games in Halifax. The 50mm Premier Judo Mat features top quality materials and a highly durable construction for optimum safety in your dojo. This mat is designed for applications where added protection is needed for the highest intensity training and for larger/heavier athletes. The extra thick foam core cushions even the hardest throws and prevents bottoming out. 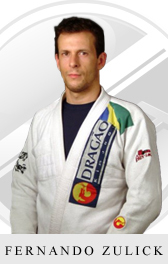 The tatami textured non-slip surface is easy to clean and reduces mat burn. These latter features help improve the health of your athletes. Each mat features a rubber waffle backing to reduce shifting and lifting which is completely sealed to protect the foam core from water damage. 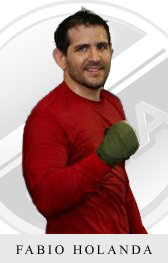 The highly durable vinyl cover supports footing and accommodates regular ground training. Each mat is available in 2mx1m or 1mx1m sizes. 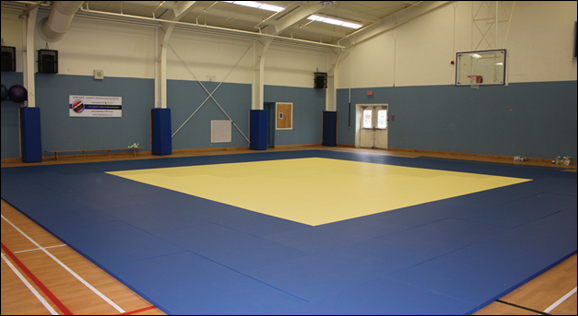 We can offer this Judo Mat with an extremely durable insert which distributes forces over larger areas. We offer a full range of colours to mix and match from. 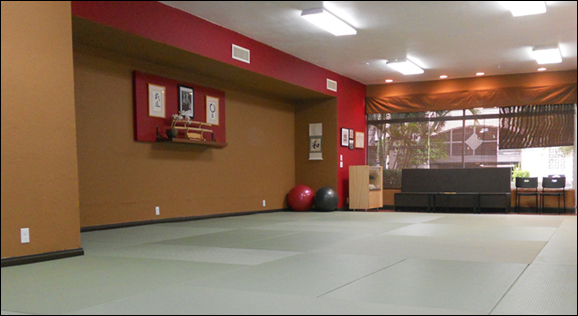 These mats are used by many Aikido schools across Canada and the USA.